It ain't easy! Keep up with the black and white Rock Concert Drink Ticket, with a pulse pounding view of a jam packed arena and the stage where the musicians are shrouded in a blanket of fog-machine mist. 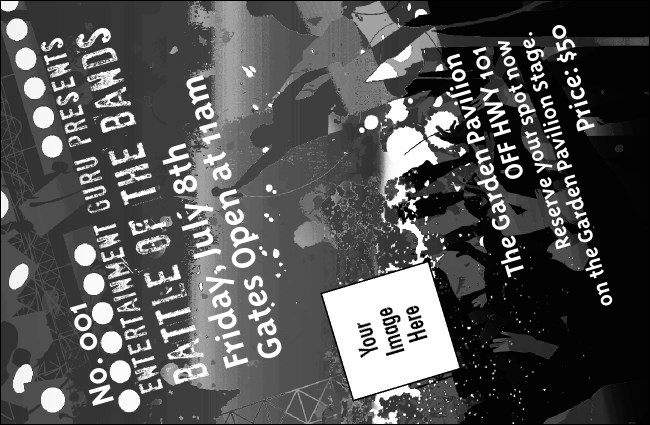 Upload your own image and customize this drink ticket with band logos, head shots, or sponsor images. If you like this drink ticket, you'll love the matching Event Kit from TicketPrinting.com.